With the completion of the Bauhaus Archive in 1979, 46 years after the institution’s closure, full recognition of the school’s importance was finally set in concrete. The tide of Nazi false regressionism may have closed the Bauhaus in 1933, but there can be no doubt as to whom eventually won the cultural war that would shape the future of architecture. 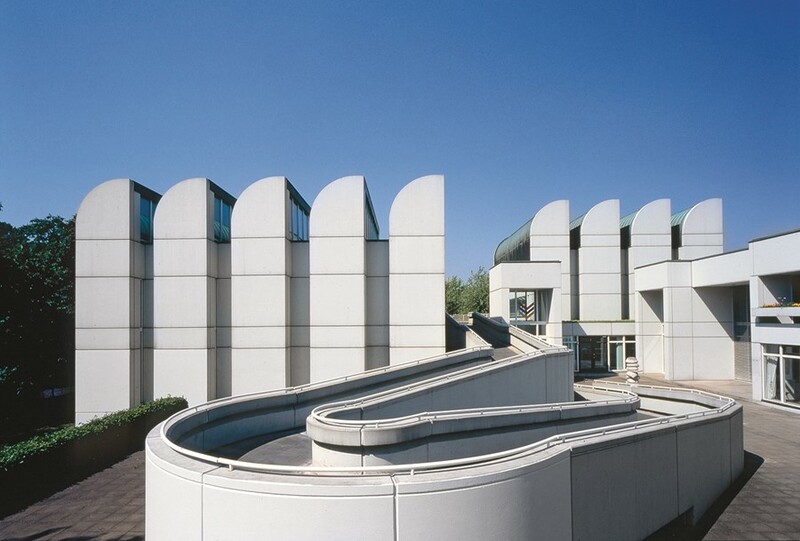 Based on Walter Gropius’ original designs and completed by The Architects Collaborative, this saw tooth-shaped building houses the largest and finest Bauhaus collection in the world. A trip to the Berlin site is a must for anyone with a taste for 20th-century design. When political pressure lead to the Bauhaus leaving Weimar, a new building was needed to house the school. 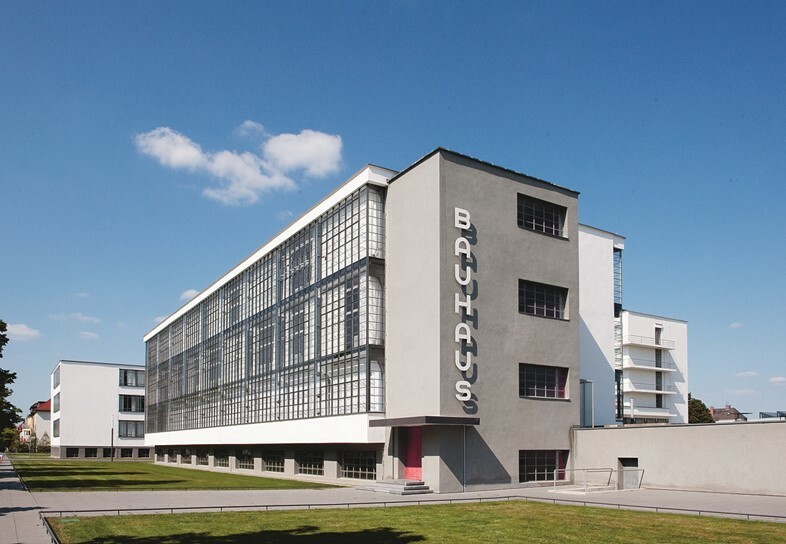 Designed by Walter Gropius, the institution’s founder, the Bauhaus Building was the culmination and manifestation of all the key theory that had lead it to that point. At a glance it may seem fairly unremarkable today, but in 1926 this building was a total revelation and proof of its success can be found in the fact that it looks so normal to contemporary eyes. The central idea that shaped the building’s form was the integration of all artistic, design and architectural practices, not only through academic and practical application, but also in how the social spaces were designed, and how the departments physically related. Whilst the building wasn’t without its problems – the wall of windows that encased the workshop building famously made it unbearably hot in the summer – the spectacular outpouring of creativity and innovation that took place whilst the school was housed there points to the building’s spectacular triumph. 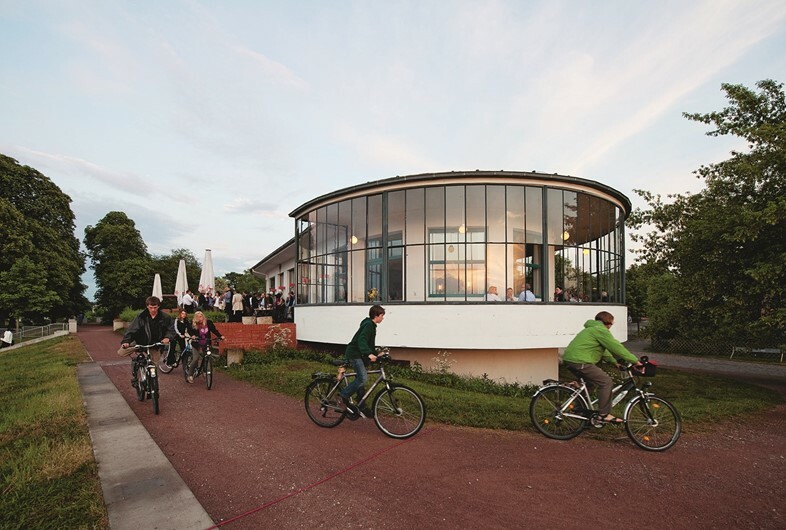 A 20-minute stroll from the Dessau campus, set on the banks of the river Elbe, sits the elegant café known as the Kornhaus. Carl Fieger won the commission in direct competition with the architectural department of the Bauhaus, and the broad curve of its winter garden stands in contrast to the more typically pragmatic nature of much of the Bauhaus’ output. Head here for coffee and cake in the late afternoon and experience Bauhaus design as it was intended to be enjoyed. It’s not difficult to see why it was such a popular place for staff and pupils to while away long summer days. 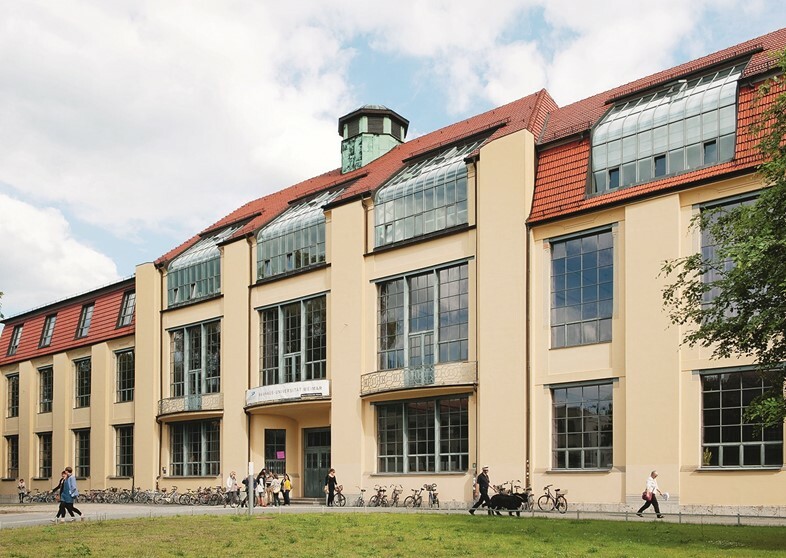 Completed eight years before the school’s founding and designed by a non-member architect, the Bauhaus University is not a Bauhaus building, but it was its cradle. The ideas formed here would go on to shape the first truly global architecture style and so much of what the 20th century would look like. Situated in Weimar, a city more typically associated with Classicism than Modernism, most tourists come here in search of a picture-book Germany rooted in the grandeur of the enlightenment. But for those who know where to look, the role Weimar had to play in the aesthetic ideals of the 20th century can be found in abundance. The inner walls of the Bauhaus University reveal a partial redesign that was undertaken in 1923 for the Bauhaus Exhibition, while Walter Gropius’ spectacular office, meticulously reconstructed in 1999, can be perused at leisure. 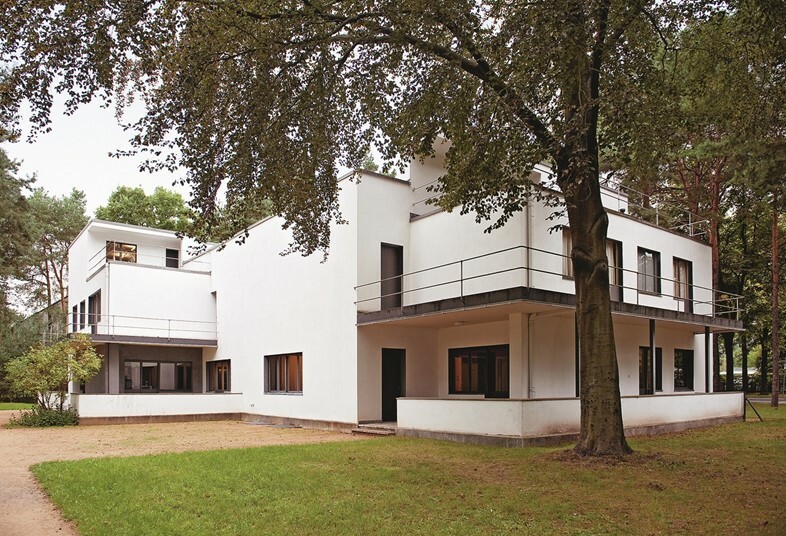 On the site of the Dessau campus, set aside from the main building, are The Masters’ Houses. Again designed by Walter Gropius, they were envisaged as the houses of tomorrow, to be as practical to live in as they were radical to behold. Wassily Kandinsky, who taught painting at the school, was to be one of the guinea pigs of this refined new world. While he was reportedly unnerved by the whiteness of the interior walls of the house, ordering them to be repainted in 170 different hues (he did teach mural painting after all), his time living there was amongst the most productive and innovative of his career. Bauhaus Travel Book is out now, published by Prestel.